Graphics Express Giant 6 Foot Vintage Mobil Pegasus Sign 20-9XL - California Car Cover Co. This new yet nostalgic sign has roots that go back to 1911, when Mobil first used Pegasus branding. In 1931, the symbol was officially adopted as their trademark, and since then it has become one of the most recognized logos worldwide. 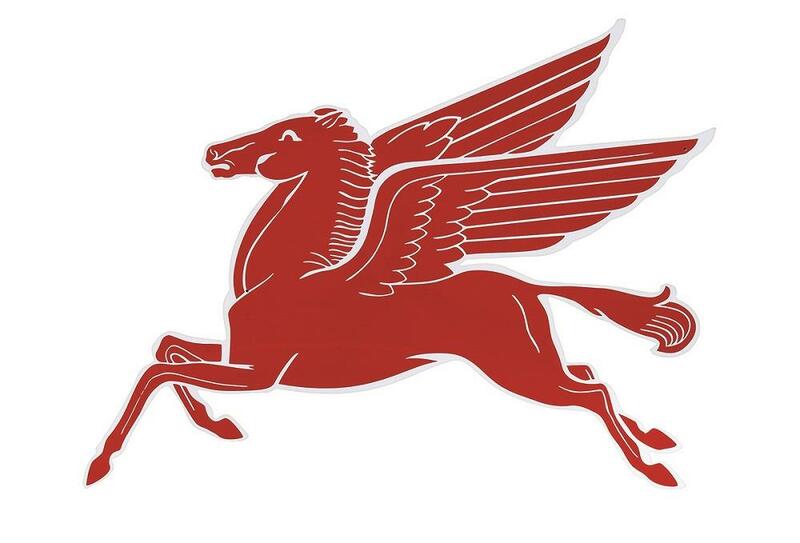 This impressive 72” W x 47 ¼” H Pegasus is hand-crafted 18-gauge steel clear-coated with a UV protective layer over the red and white print. Mount this beautiful piece indoors or out for big impact. To ensure safe arrival, this sign is packed in a custom crate and shipped via trucking company. Oversized shipping rates apply. Available for shipping within the contiguous USA only.